>Easily gets door dings after I spent nearly 350 Dollars Canadian last summer to fix this issue and now I have two more. >The car Tramlines like a M&$&%*#!#$. I have to be attentive with steering at all times because it loses controls, I have done wheel balancing just about 3 weeks ago. >Exterior Weather stripping is damaged by sun and coming off. >Door rattles on driver side for some reason, I have a subwoofer/amp that I cannot put due to the rattles. Are there shops that can fix this issue or not worth it? I heard Dynamat was a waste? **Steering Issue, the main part. 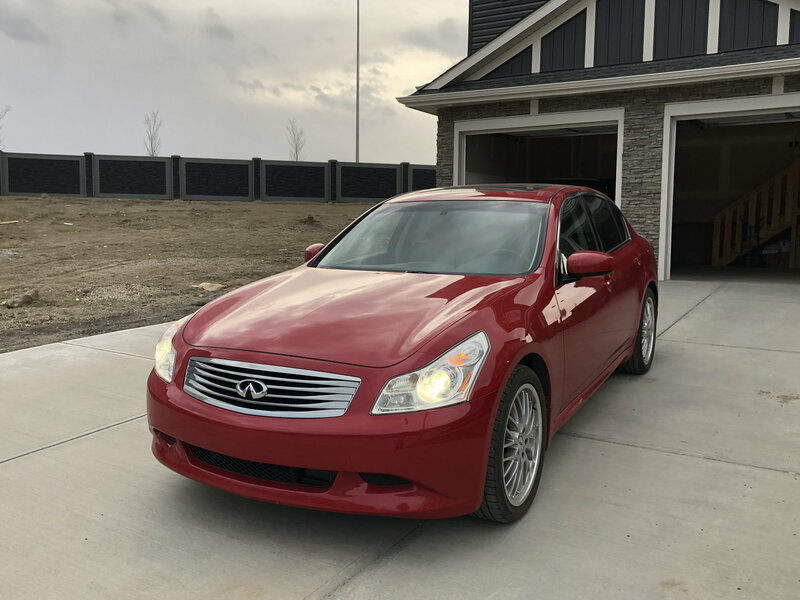 When I bought this car it came with two sets of wheels/tires I mentioned above, After noticing the weirdness of the steering response and the way the car acted on uneven roads or groves on the road I took it in to Infiniti, They came up with a $4200 CAD repair bill. 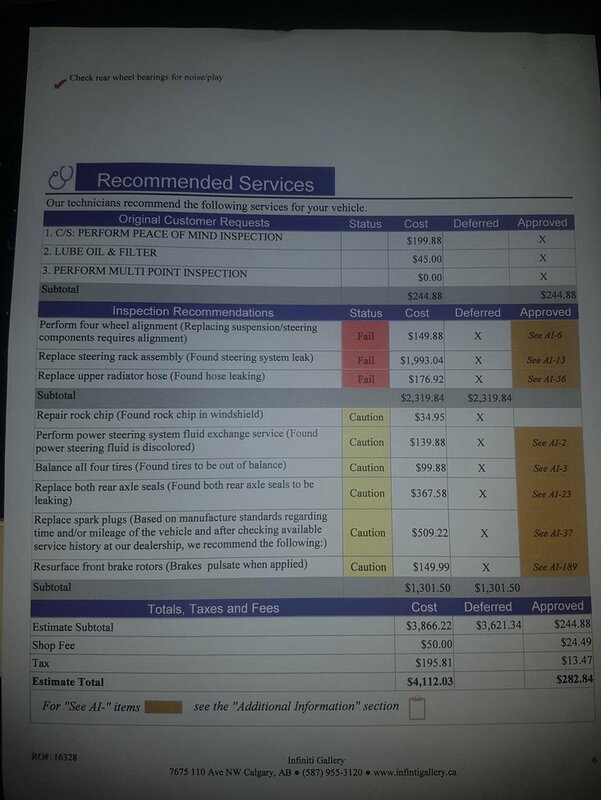 I have attached below a picture of the inspection report from 2017 Summer and the car had 107,000 kms when I got it, now It has 125,000kms. Since then I have changed the spark plugs, replaced front and rear rotors. Front Rotors were Powerstop Z23 I believe but already my braking is weird and vibrates after little over a year. Should I just go with OEM rotors at the dealer or are there better alternatives? There is a knock or a clunk on low speeds from rear passenger side wheel well I dont know if that has anything to do with the Rear Axle Seals? I still have to fix the problem with the paint and rock chips. Also the wind cowl noise is annoying as hell when driving on high speeds dont know if there is a fix. The clunky transmission is another issue but I heard it can be fixed with a grounding kit? My lights flicker off when traction turns on while driving on Ice/winter, dont know if thats the cause of a weak ground? So after getting that report I went to a place called Napa Precision Alignment which is in the North East of Calgary. They said my car was out of balance which it was, horribly! They fixed that issue partially for me because the car was vibrating on the road at high speeds before and after fixing it the vibration was completely gone but still there at around 120kph/85mph. This was during the winter so I had my stock 18s on and then come this summer I switched to my summer 19s with Nitto tires which were also balanced a few weeks ago. But now the shop is stating I need a new tie road on the front passenger side and an alignment. They also said my Steering Rack was not leaking as the Infiniti Dealership stated but instead it was "Sweating" and that it is ok for me to drive in this condition because its a costly repair. I dont know what that means but the car drives like absolute crap with only minor imperfections on the road. I am not sure if im being ripped off left or right.. The car idles very loud, I dont know if it needs a new serpentine belt or timing chain because the engine sounds like a mini tractor and makes slight noise from the timing chain also im guessing eventhough the shop mentioned nothing of that sort neither Infiniti dealership. It sounds quite cheap of a car sadly when in idle. Considering all these issues I thought of just replacing the car with a 2011+ B8/8.5 Audi A4 2.0T Qauttro or a E92 328i Xdrive but those cars have their own sets of issues that cost a lot and the Infiniti has never left me stranded on the road or break my bank. Now I plan to fix these problems on the Infiniti as I am at a point in my life where I dont have any debt and would like to keep it that way but I do have some disposable income to make my Infiniti look pristine or at least try to make it look as such. Any help or advice will be greatly appreciated. Here is a picture of my Infiniti. 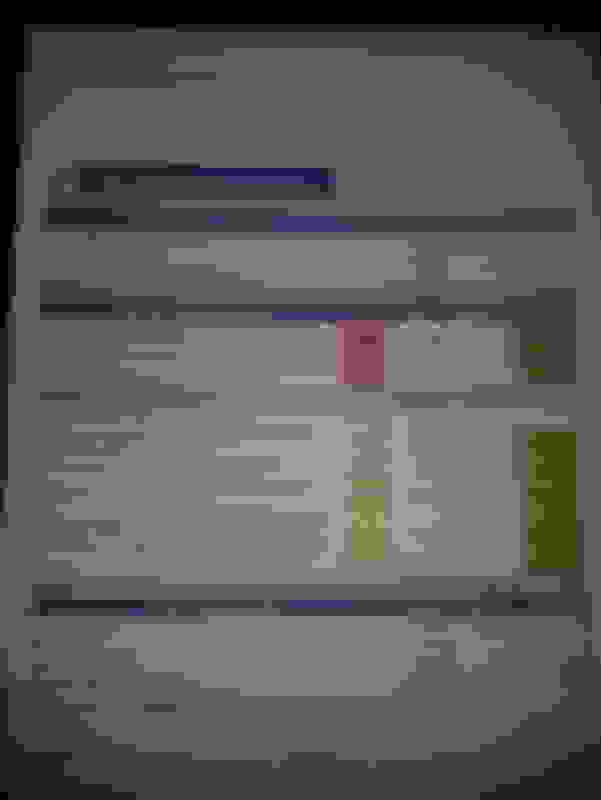 Last edited by type94; 04-12-2019 at 03:28 AM. Replace upper radiator hose $177 and replace spark plugs $509, wow! I understand this is Canadian $ but still what a joke. OP the steering rack leaking is a concern and not an inexpensive fix if the rack is indeed bad. You likely have a bunch of worn out bushings and weak/dying shocks which will wreak havoc on your alignment, steering and handling. I would also recommend taking your car to a local trusty mechanic for a second opinion. Last edited by Blue Dream; 04-16-2019 at 07:56 PM. Honestly if you're not mechanically inclined keeping an older G (or any old sporty/luxury car) looking and driving "like new" is going to be hell for you financially... Cars are complicated, they have a lot of components and every single one of them has a service life down to the little rubber bushings in the suspension, which is probably why your car is handling like crap. I rebuilt my entire front suspension with polyurethane at 110k to keep mine driving like new for around $250 in parts. At a dealer, that would be more than $1000. You'll have to spend a LOT of money (like, $10,000) to get your G back to "new" condition without doing any of the work or troubleshooting yourself.... and then 2 months down the line something else you've never thought about before WILL start making noise or vibrating, and then you'll have to worry about dealing with mechanics again wheras someone more mechanically inclined would immediately know what's wrong, how long they can let it go for, and how much it'll cost in both time and money to fix. Last edited by cswlightning; 04-15-2019 at 03:55 PM. Yeah...not gonna lie. Nissan quality = crap! Sport car platforms aren't meant to be long lasting, I think a lot of people compare apples to oranges. You will basically be replacing every single suspension wearable component by 100k miles, every single steering component by 150k miles, MANY major powertrain components before 150k miles. If this is unacceptable then you should NOT buy a sport car but rather stick with something that's designed for longevity rather than performance. It also sounds like previous owners have completely neglected maintenance on your car and now YOU are stuck repairing things that should have been fixed years ago. You're going to.need to make a decision, it's your decision though, fix or sell. If you won't do the work yourself then you'll be paying an hourly rate for labor, usually around $125/hour so you can turn that into CDN. Need help, need advice, anything..., desperately ! Quick Reply: Desperately need advice!